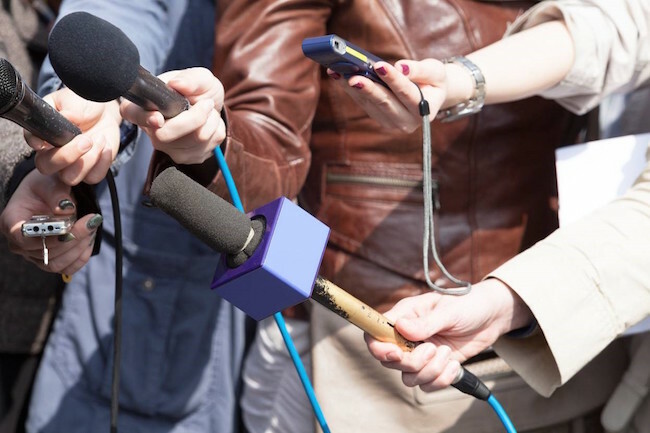 Talking to reporters can be daunting – here are tips to help you handle it. To be successful in dairy farming today, you not only need to farm and manage your cows well, you also need to know how to tell your story to the public. That means talking to people through traditional media as well as social media. When I was a journalist, I always appreciated those interview sources who answered my questions directly, and thoughtfully. I held them in higher esteem than those who gave me canned answers, or who didn’t really answer my questions. You want to be the authentic one, the one who comes across as a real person, as well as the truth bearer. 1. Trust that the media is out to do the right thing – but needs help. My oldest son Jeremy is currently a political reporter for one of the larger papers in the country. Neither Jeremy nor I can recall a reporter who didn’t try to report the truth. That doesn’t mean they always get the story right. You have to help them get there. This starts with helping the reporter know what the real story is, and helping him or her find their way toward it. You can do this, not by trying to educate the reporter, but by sharing your story, and showing its connection to the larger story. 2. Talk about the why before the what. Let’s say the story is about alleged cases of animal mistreatment, for example. You will not only want to talk about how animal care is one of the core values of dairy farms, but also about why good animal care makes both moral and economic sense for the vast majority of dairy farmers across the country. We shouldn’t be shy about sharing our values. 3. Engage the reporter in a conversation. Don’t just state what you want to say. Ask them questions to gauge their comprehension of what you are saying, and to start a dialogue. If your tone is right, this will show your inquisitiveness, not your desire to make the interview an inquisition. Ask your questions from a sincere desire to understand, and the reporter will see this as a sign of respect. 4. During the interview, stop and ask the reporter to summarize what they heard you say. Often the reporter will give you the line they plan to quote you. If the quote is wrong, it’s your chance to catch the error and edit it on the spot. Simply apologize for not being clear, then give the quote you really want. 5. Get in the last word. If you hear the reporter wrapping up, be sure to summarize the main point you wished to convey. You could “flag” this by saying, “The most important thing in our discussion has been …” This often will be the quote the reporter will be sure to insert into the story. 6. Don’t forget to close the loop. Lastly, once the story is out, don’t miss the chance to congratulate the reporter on a good story. Most reporters receive precious little feedback on their work, and when you do this in a constructive way, you can make yourself an ally for life. What are your experiences and tips in talking with the media? *Written by David Pelzer, Senior Vice President of Strategic Communications at DMI. David has been working for America’s Dairy Farmers for 20+ years and in his position oversees industry-wide crisis preparedness efforts and media relations. Before his time working with dairy farmers he was an editor of several national publications serving agriculture.